Looking for a Uniqlo student discount? Well you’ve come to the right place. Currently there is a £10 promo code to save at uniqlo.com. To get it, simply go to this special page, sign up to the newsletter and you’ll get the voucher code to get the reduction. As there is no official Uniqlo student discount, then this is an excellent way to save. Plus we’ve created a quick savings section below with the latest voucher codes, sales and deals to save students more. Uniqlo is the premium fashion store for stylish essentials and basics in the UK. From coats and jackets to shirts and tees to comfy underwear, this Japanese import has it all. It’s often confusing when searching for a Uniqlo student discount. There are now lots of different schemes and cards such as Unidays, NUS Extra and Student Beans and a brand can be a member of all or none. That’s why Student Squirrel has written this super easy guide to explain how students can save on their fashion purchases. Does Uniqlo Do a student discount? Is there a Uniqlo Unidays, NUS or Student Beans Discount? 1. Does Uniqlo Do a Student Discount? At the current time of writing there is no Uniqlo student discount. They have no affiliation with Unidays, NUS Totum or any other student discount scheme so there is no specific voucher code for students available. Not to worry though fellow students, we’ve still found some great ways that you can save in other ways – simply read on! Also, did you know that there is a special deals page on the uniqlo.com. This is where they list any discounted items and also deals such as 3 for 2s. Keep reading for more information on voucher codes, sales diaries and more fantastic tips. 2. Is there a Uniqlo Unidays, NUS or Student Beans Discount? 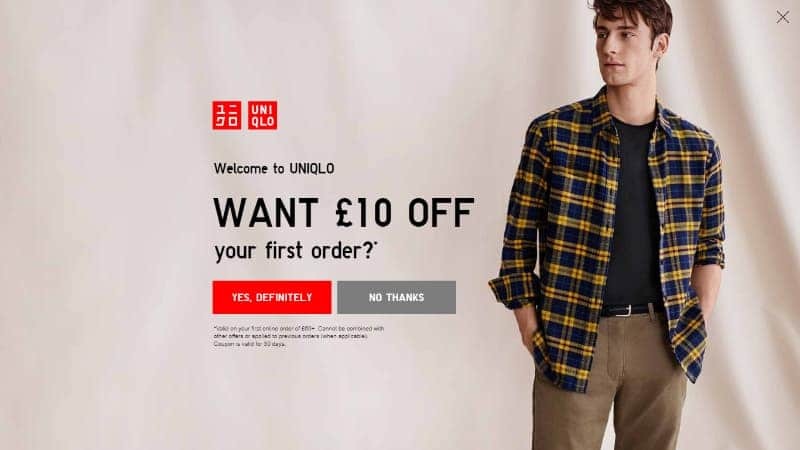 There are now a lot of different student discount programmes out there and two of the biggest are Unidays and NUS – they can sometimes get great savings with big brands such as Uniqlo. We get asked a lot whether there is a specific Uniqlo student discount on these programmes either online or instore… The results on Google can be confusing so we’ve fact checked them for you and here’s what we found! 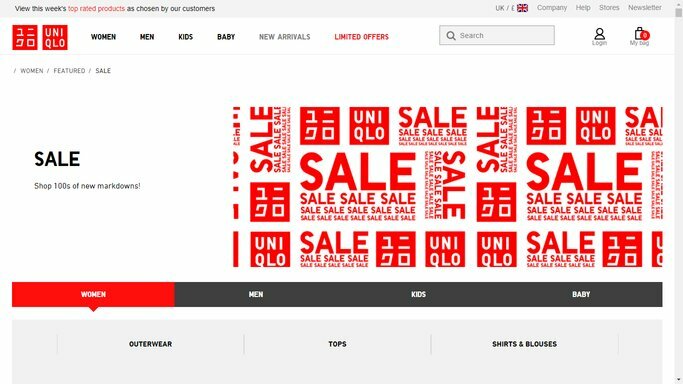 At the time of writing there is no Unidays discount for Uniqlo so you can’t get a promo code to get a reduction especially for students. This is a shame as we really like the Unidays scheme where you validate your student status and then get access to some great student codes for money off top brands. However, there are a couple of things students can do to save at uniqlo.com. Firstly check out our fabulous savings section at the top of the page. This is where we regularly update this guide with the latest promo codes, sales alerts and offers to save undergraduates money. At the moment there is no NUS Uniqlo code. Also you can’t claim a NUS student discount instore. However, we recommend that you always ask at the till and show your valid student NUS card as you never know, the manager could show discretion. Got a question about student discounts for Uniqlo? Not sure if there is a Unidays code? Student Discount Squirrel is here to answer all your queries and save you money! At the current time of writing there is no Uniqlo student discount. However, it is possible for students (and anyone for that matter) to get a £10 voucher code by signing up to the newsletter. No student id is required and it’s and easy 10 quid off an online clothing purchase. Is there a Unidays Uniqlo code? There is currently no Unidays Uniqlo promo code and they are not featured on the myunidays.com website. It’s still possible to save by shopping for offers and when the sale is on. A bag staple, this plain grey material satchel can be dressed up or down and is the perfect accompaniment for both leisure and business outfits. It’s big enough to fit a laptop within but its polyester outer means that it folds down to be teeny tiny when empty – so easily transportable around even when not in use. The multiple pockets can fit in a whole host of items and the size makes it a great hand luggage bag. Part of the Marimekko 50th birthday limited-edition range, this 100% cotton tee is printed with bright geometric shapes for a really stand-out look. Team with jeans or black bottoms for an easy ensemble, or layer with a bright coloured skirt for a fun and summery look. 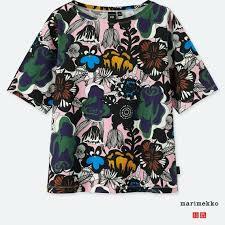 The Marimekko range includes a whole host of designs and colour options, so there’s something for everyone. Unlike budget tees, you can rest assured that this garment won’t twist, stain or discolour over time. Well, if anyone knows anything about screen time and technology, it’s the Japanese! These non-prescription specs are made of sturdy TPE (ThermoPlastic Elastomer) black frames but with specialist anti-reflective lenses that lower the harmful impact of the blue light emitted from screens and smart devices. You can’t tell the light is blue, but it can cause all kinds of damage with your psyche and sleeping patterns, so filtering this spectrum out allows you to concentrate and work harder for longer, as well as helping you get a better night’s sleep thereafter! 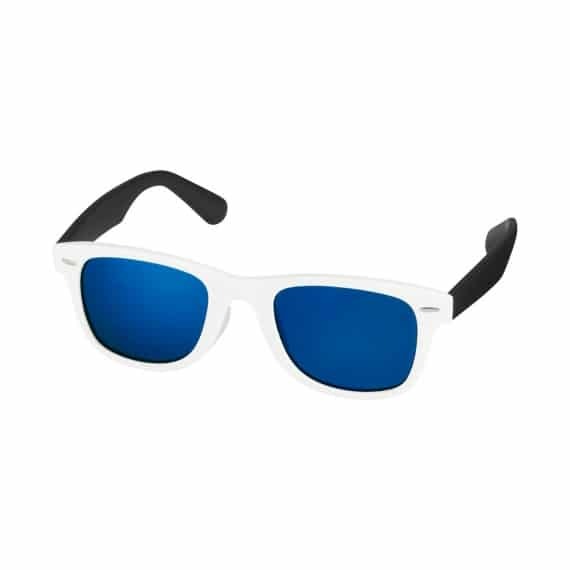 They’re even durable enough that you can keep them on for sports and physical activities… although we’ll assume you’ll be unlikely to be looking at many screens during those. Japanese fashionwear brand Uniqlo is world renowned for its Tokyo-influenced streetwear classics and is considered a great label to shop both wardrobe staples and limited-edition Asian-inspired pieces. ‘Uniqlo’ is short for ‘Unique Clothing’ and is part of the larger Fast Retailing Co group which is a huge Japanese retail holding company that owns several other ‘fast fashion’ brands. Uniqlo was originally a Japanese-only retailer but has expanded worldwide thanks to its ongoing success. That said, this doesn’t always translate perfectly to every market around the globe, and us Brits seem not to have adopted their products in the way they would have originally liked. This has resulted in a hold on new store openings and even some store closures in smaller towns and cities: but fear not J-pop streetwear fans! The whole Uniqlo range is available online, and there’s still 11 shops across the UK for your casual fashion perusal. The label is hugely popular almost everywhere else in the world, so when abroad, you’ll pretty much always spot the bright red and white logo out and about. Spanning menswear, womenswear, kidswear and baby items, there’s a great amount of stock in but the real Student Discount Squirrel goodness comes in the form of their ‘Limited Offers’ section – a treasure trove of discounts, limited-edition pieces and sets and anything unsold from the high street shops. Uniqlo is famous for its basic and plain staple pieces because they’re such good quality and so long-lasting. Their point of sale materials and online shop gives great inspiration for how to combine the pieces for something eye-catching and suitable for any occasion. Plain need not mean basic, and there’s something really classy about wearing understated easy pieces in plain tones and designs with simple cuts. Those who shop in Uniqlo swear by it and go back time and time again. The limited-edition special ranges include a whole host of Japanese brands and cultural references, including Doraemon, Peppa Pig, and various anime and manga character and scenes. This attracts fashion fans who want to get hold of something that’s limited and won’t be around for long, as well as the individual fandoms for each pop culture reference. This championing of Japanese culture and the brand’s heritage has proved popular worldwide and allows Uniqlo to promote art, culture, music and other traditions direct from their homeland to all of the countries within which they operate. If you like to mix and match or dress from a classic capsule wardrobe, Uniqlo is the ideal retailer for you – and their clothing’s quality allows you to hang on to pieces through years of use and hundreds of outfits! Uniqlo was birthed in 1984 as a subsidiary of an existing Yamaguchi-based company. The company originally only stocked menswear, but the ‘Unique Clothing Warehouse’ launch saw a range of unisex clothing launched. Based in Fukuro-machi, Naka-ku, the company’s new registration was mis-read and the ‘c’ in Uniclo (short for Unique Clothing) was registered as a ‘q’, hence the name today! By 1994, Uniqlo had over 100 stores operating across Japan, with their Western-style clothing classics gaining popularity in a largely untouched market and the quality of the garments setting them apart from their competition. In 1997, Uniqlo took on a range of new retail strategies inspired by US manufacturers such as The Gap, in order to help them grow and develop across the world. Needless to say, it worked, and stores opened in the trendy Harajuku district, China, the UK, the US, South Korea and Malaysia. There are now almost 2,000 Uniqlo stores across the globe and a huge online following for the brand. In 2020, the company is expecting group sales of 5 trillion yen – that’s $61.2 billion! Uniqlo is a Japanese designer, manufacturer and retailer - you probably did know that! In 1984 they opened a unisex casual store in Fukuro-machi! In 1997 they adopted top retailer strategies from American giant GAP! In 1998 they opened the first Uniqlo stores in Tokyo.